Can a single page of a book change your investment life? We believe it can. Periodically, we highlight some of the Great Pages that have had a great impact on our investment philosophy. 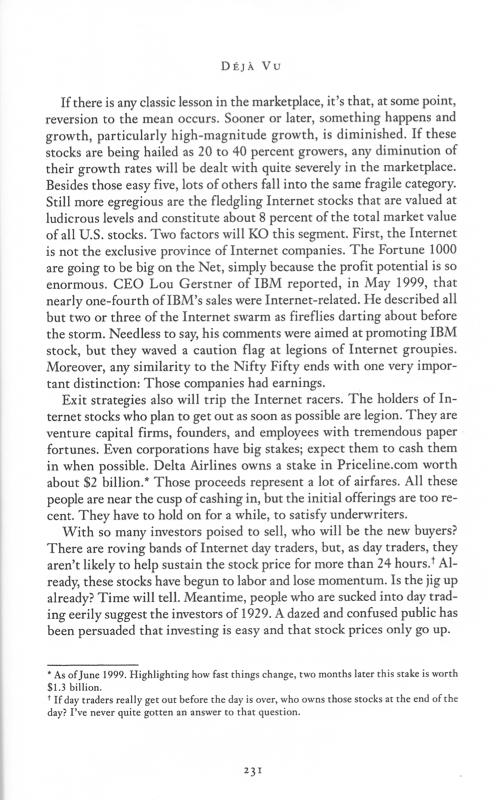 Today, we look at p. 231 from John Neff’s “John Neff on Investing”, in which Neff essentially predicts the coming demise of the Internet bubble. Validea’s John Neff-inspired portfolio is up 18.0% this year vs. 9.2% for the S&P 500. Check out its holdings here.